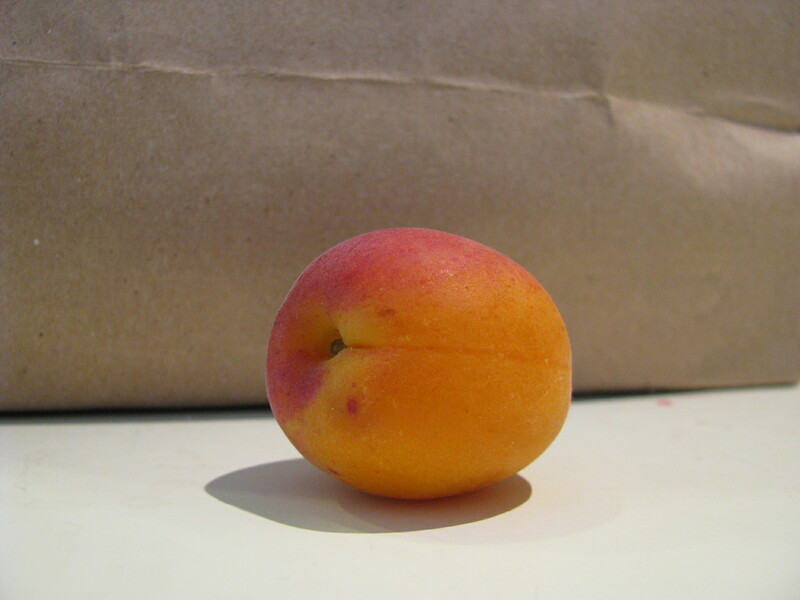 One of the reasons that I signed up for the Wayward Seed Farm fruit CSA this year was the lure of Eschleman Fruit Farm apricots. Wayward Seed partner with Eschelman’s for the fruit CSA and so far we have had strawberries, apricots, cherries and blueberries. I love fresh apricots, both visually and to eat. The first week, I just ate them as snacks, but by the third week of this fruit bounty I was looking for ideas. Luckily the New York Times came to my rescue, but before I started preserving apricots there was something I wanted to try. In December I wrote about Rowley Leigh’s apple and almond tart. I had in my head that it would be just as good if I substituted apricots for the apples. – I substituted sliced almonds for the pine nuts. – I realized that I didn’t have any icing (powdered) sugar so I omitted dusting the tart at the end. 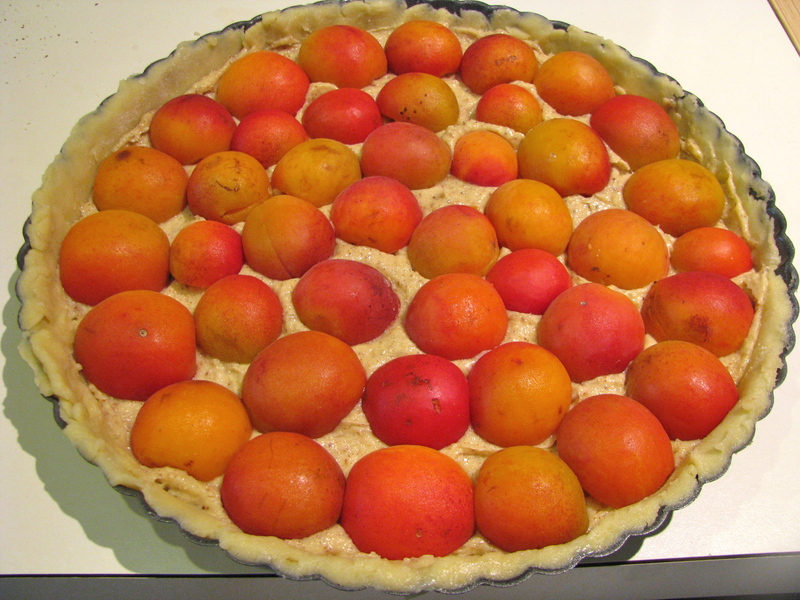 Most fruits get sweeter when you bake them but the apricots were more tart. 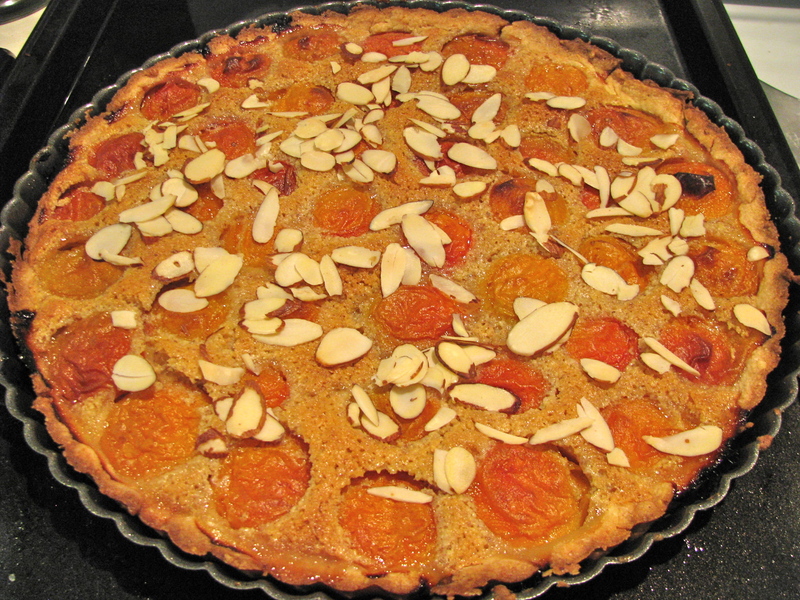 It worked out well, the tartness of the apricots were a nice contrast to the sweetness of the crust and almond paste but the powdered sugar might have made it a little sweeter. I made the tart in the morning and we ate it at room temperature late in the afternoon. I bought watermelon instead of apricots today, but I’m tempted to follow your example very soon.